Hindus have welcomed reports of East Meadow School District in Westbury, NY, adopting Diwali as an official holiday on the 2017-2018 school year calendar. Photo by: Vinish K Saini, via Free Images. Westbury, NY - December 17, 2016 - Hindus have welcomed reports of East Meadow School District (EMSD) in Westbury (New York) adopting Diwali, most popular of their festival, as an official holiday on the 2017-2018 school year calendar. Nearby Syosset Central School District also reportedly recently declared Diwali as an official holiday. Hindu statesman Rajan Zed, in a statement in Nevada today, describing it as a step in the right direction, urged all other public school districts and private schools in New York State to do the same. 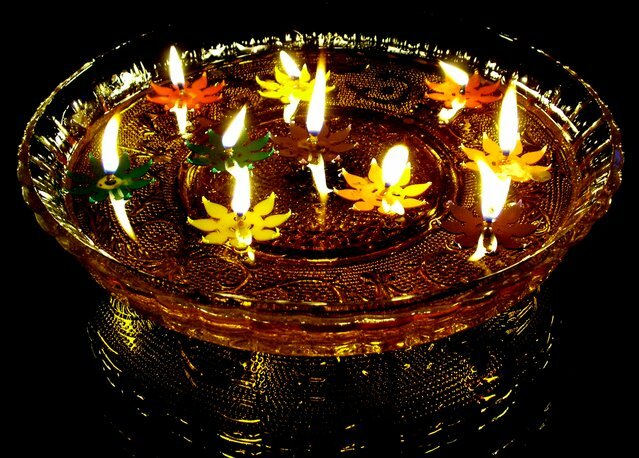 Rajan Zed suggested all New York State schools, both public and private, to seriously look into declaring Diwali as an official holiday, recognizing the intersection of spirituality and education. Zed noted that awareness about other religions thus created by such holidays like Diwali would make New York State students well-nurtured, well-balanced, and enlightened citizens of tomorrow. Zed urged New York Governor Andrew M. Cuomo, New York State Education Department Board of Regents Chancellor Betty A. Rosa and New York State Commissioner of Education MaryEllen Elia; to work towards adding Diwali as an official holiday in all the 728 school districts, and persuading the private schools to follow. Zed thanked EMSD Board of Education President Marcee Rubinstein and other Board members for supporting Diwali holiday. EMSD serves over 7,400 students in nine schools of East Meadow and Westbury communities of Long Island. Mission Statement of EMSD, formed in 1814, includes “Understand our cultural heritage”. Leon J. Campo is Superintendent of Schools. Subject: LongIsland.com - Your Name sent you Article details of "Hailing East Meadow Decision, Hindus Seek Diwali Holiday in All 728 New York School Districts"